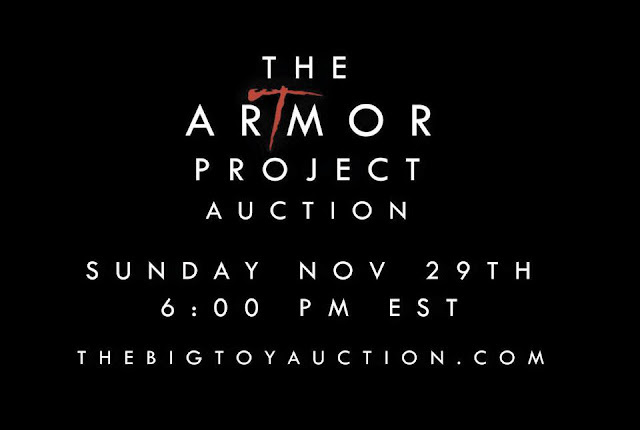 Are you free at 6 PM Eastern on Sunday, November 29th? Do you want to help out Toys for Tots? If you answered "Yes" to all of these, then might I suggest checking out this year's Artmor Project Auction. The Artmor Project was the brainchild of the guys over at NeoZAZ as a way to raise money for charity and to create some one of a kind pieces of art. They take blank Mandalorian chest armor (as worn by Boba Fett) and use that as their canvas, making some really striking art pieces. Just check out the image below for some of last year's creations.